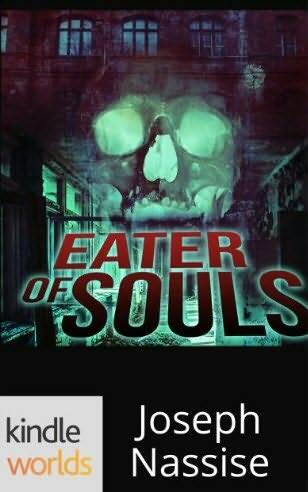 Having read through all the published “canonical” Dead Man books, I decided to check out Joseph Nassise‘s Eater of Souls. 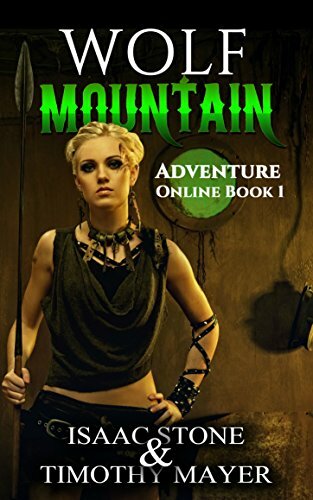 The book was released through the Kindle Worlds program which is Amazon’s way of hitching their cart to the fan fiction horse. By publishing through Amazon Worlds an aspiring author can write a story set in the “universe” of an existing author. So long as the rights holder has agreed, the work can be published by Amazon. Of course any work in this new program has to meet the standards of the creator(s). But it’s one way for up and coming writers to publish adventures in someone else’s world. Nassise has a man possessed by Mr. Dark in a train station taunt Matt Cahill with a school shooting prediction. Wishing to prevent another Columbine tragedy, Matt Cahill and his ax travel to Harper’s Bay, Illinois, a small suburb of Chicago. As the only possible target for the evil Mr. Dark is the Academy for Academic Excellence, Matt takes a job as a custodian. It’s not long before he finds out something is wrong at the upper-class school. The author does a good job keeping the novella within the frame-work of the Dead Man universe. Several of the earlier episodes are reverenced and some of the earlier characters are mentioned. Matt Cahill is the simple man caught up in a struggle between good and evil portrayed by the earlier books. No great revelations, but Mr. Dark does make several appearances. My only complaint is the lack of detail in the high school where Matt is employed. Other some confrontations between students, you don’t get much of a picture of the place. Matt doesn’t interact with many co-workers either, other than the principal characters in the book. But this might have more to do with the nature of the short novel than the author’s writing. There’s 2 more books published in the Dead Man universe. I’m going to check them out and see what the next author has accomplished.